From Sept. 1, 2010 to Oct. 28, 2010 the University of Zurich conducted a research study in Prémanon, France on the effects of altitude training on high-level endurance cyclists and runners. During the study, participants were required to spend approximately 18 hours a day in sealed hypoxic rooms, which simulated an altitude of 10,000ft, while training in the Jura Mountains. On alloted days, various scientific tests were performed to measure for improvement in the athletes' overall fitness and strength. 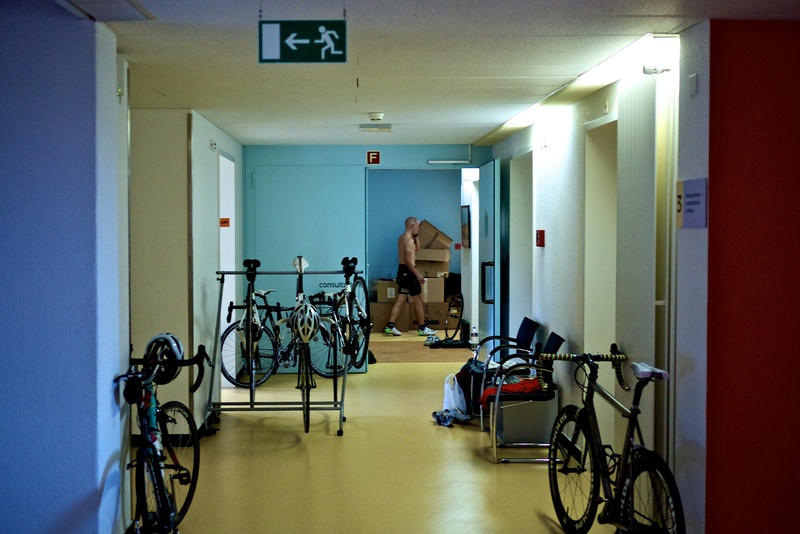 A study participant walks between rooms during a day of testing at the Vallée de Joux Hospital in Le Sentier, Switzerland on Oct. 9, 2010.